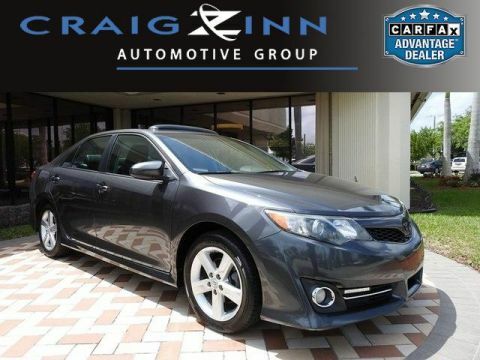 This model has many valuable options -Sunroof -Dual Sunroofs -Bluetooth -Aux. Audio Input -Premium Sound System -Automatic Headlights -Front Wheel Drive -Security System -Power Locks -Keyless Entry -Power Windows -Steering Wheel Controls -Cruise Control -Leather Steering Wheel Automatic Transmission -Rear Bench Seats -Tire Pressure Monitors On top of that, it has many safety features -Brake Assist -Traction Control -Stability Control Save money at the pump, knowing this Scion tC gets 31.0/23.0 MPG! Call to confirm availability and schedule a no-obligation test drive! We are located at 1841 North State Road 7, Hollywood, FL 33021. Value priced below the market average! -Only 52,564 miles which is low for a 2010 ! This model has many valuable options -Aux. 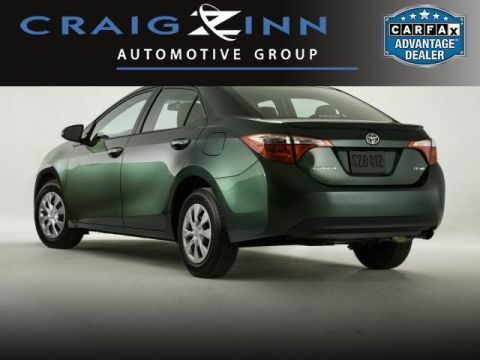 Audio Input -Front Wheel Drive -Security System Automatic Transmission -Rear Bench Seats -Tire Pressure Monitors On top of that, it has many safety features -Brake Assist -Traction Control -Stability Control Save money at the pump, knowing this Toyota Corolla gets 34.0/26.0 MPG! Call to confirm availability and schedule a no-obligation test drive! We are located at 1841 North State Road 7, Hollywood, FL 33021. New Arrival! 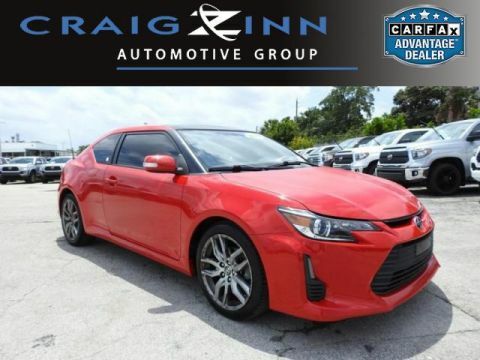 Back-up Camera, Bluetooth, Multi-Zone Air Conditioning, Satellite Radio, Steering Wheel Controls, 3rd Row Seating, Aux Audio Input, AM/FM Radio Rear Spoiler, Stability Control, ABS Brakes Satellite Radio Front Wheel Drive Call to confirm availability and schedule a no-obligation test drive! We are located at 1841 North State Road 7, Hollywood, FL 33021. Recent Arrival! Clean CARFAX. 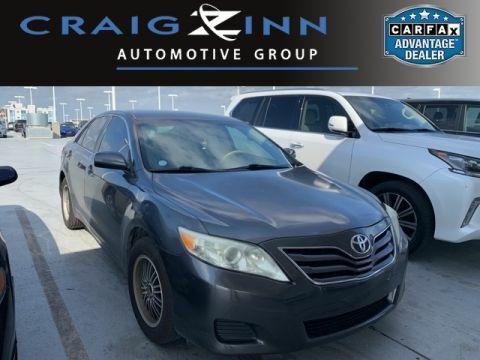 Odometer is 14009 miles below market average!Gray 2012 Toyota Camry LE FWD 6-Speed Automatic 2.5L I4 SMPI DOHC25/35 City/Highway MPGAwards: * 2012 KBB.com 10 Best Sedans Under $25,000 * 2012 KBB.com 10 Most Comfortable Cars Under $30,000 * 2012 KBB.com Best Resale Value AwardsHome Town Dealer!!!!!! Recent Arrival! New Price! 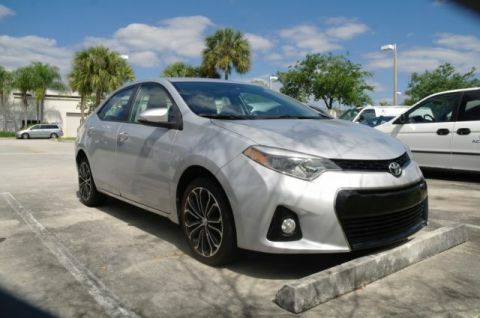 Clean CARFAX.Classic Silver Metallic 2015 Toyota Corolla S Plus FWD CVT 1.8L I4 DOHC Dual VVT-i29/37 City/Highway MPG29/37 City/Highway MPGAwards:* 2015 KBB.com 10 Most Affordable Cars * 2015 KBB.com 10 Tech-Savviest Cars Under $20,000 * 2015 KBB.com 5-Year Cost to Own Awards * 2015 KBB.com 10 Best UberX CandidatesCall us today at 954-985-2424 and ask for any Sales Manager. We are the largest Acura dealership in the Southeast USA for the eight year in a row. We are a volume dealership selling Acura Certified and other Quality pre-owned vehicles at volume prices. Call us today as inventories are constantly changing, we will find the right car at the right price! Special Factory APR financing available through Acura Financial Services.